Stay with locals and meet travelers, offer free hugs in every city you visit. A hospitality and social networking site, couchsurfing is a brilliant platform to make unforgettable memories on the run. Do you feel uneasy staying at hotels? Your troubles are over for couchsurfing is here for the rescue. Couchsurfing meaning is quite clear from its name, but it’s advantages are far more exciting. I personally is a huge fan of the name itself and of course, of the concept. It was launched around a decade ago and provides homestays to travelers. Couch surfing provides a great platform to interact with locals and make new friends and traveling companions. You can join the events and find new adventures enjoying your life to the fullest. With over 15 million users worldwide, couch surfing has found its place in the hospitality industry. Being a fan of it, I will give you a thorough tour about how couchsurfing is done, couchsurfing events, couchsurfing blogs, stories, couch surfing Wikipedia, mobile application and many more. A wonderful notion and a far better option economically, let us give a look at couchsurfing. A typical example of gift culture, where there occurs no monetary exchange between the participating members, couchsurfing is a platform to make new friends and share memories. Unlike WWOOF, The hosts don’t expect any sort of rewards in return and couchsurfing purely is a gift economy type of hospitality service. What a great idea, indeed! You too can find places to stay at, in almost every city, absolutely for free with couch surfing. Use your mobile or computer to look for the best suitable place where you can stay without paying any money. It is more convenient to go for couchsurfing on the mobile couchsurfing travel app. Link has been provided in the end of the context to download the couchsurfing app. You can login using your Facebook account, which is a better option because it provides good social information, or you can sign in, in case you don’t have a Facebook account. You need to click the search icon and type the area you need a place to stay at. Type the desired city’s name and you will be provided with all the couchsurfing hosts providing free hospitality services. It is important to complete the verification for it will help you find better hosts. Is couchsurfing free? You need to verify your account which requires a fee payment. 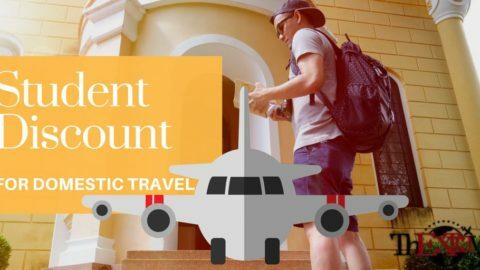 Couchsurfing verification fee is applicable and is as per your currency. It can be refunded as well. The commonest question we encounter is whether it is worth it? The couchsurfing fee is reasonable and you should go for it if you are an active member in hospitality hosting. Once registered and verified, hosts can check out your profile, your activities and they can offer their couch to you accordingly. Make friends and have a good network and remain active to fully enjoy it’s services. The profiles are assigned scores encouraging people to complete their couchsurfing profiles. Your email address needs to be confirmed. You need to add a profile picture and contact number. You need to verify and fill in your details in the couchsurfing profile. Add more and more friends in couchsurfing and enjoy free stays. Couch crashes is what the events are called. 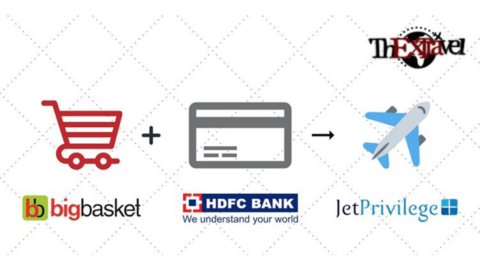 They are brilliant platforms to meet travelers across the globe and learn. Events are hosted in areas to explore its tourist spots. Your chance to become a true traveler is here. Offer to host, meet travelers and explore the world. You can chat with travelers near you on hangouts. Look for already registered friends. Encourage your friends to join couchsurfing and the more friends you have, the better hosts you can get. Get to know your hosts and companions before meeting them. Build a secure environment. The members of couchsurfing can review their stays, share experiences and stories. Become a reference and tell people your couchsurfing stories. Your review matters and the hosts online reputation depends on your comments. The comments cannot be modified later and get deleted only when the account of the person gets deleted. Give your feedback, be it negative or positive and guide future travelers and members in the right direction. You need to write a couchsurfing request to the host you would like to visit. If you feel insecure, go for the hosts that have a well built profiles with good experiences and couchsurfing reviews. You can find common interests and chat with the host. Your contact details are not shared until you feel safe. You can chat with in built tools in the app and website first. After the stay, write your couchsurfing story and leave a couchsurfing review regarding your stay with the host. Guide new travelers and couchsurfers. You should follow the instructions, if any are given, be patient and polite, keep their place clean and behave good with others. Make friends for life as you travel with couchsurfing. If you have a spare room, apartment or space, use it to provide shelter to travelers. You need to click on the “host a traveler” option on the couchsurfing website or mobile app. Click on yes when asked whether you can host or not. Now you need to select the dates on which you can host a traveler. Click on search and a list of traveled looking for homestays will be displayed. Your profile is the first impact that will be made, so keep it up to date and formal. People can request you as well and you can allow travelers to stay who have requested as per the dates and rooms or space available. Provide with proper directions to your place, contact number, any instructions of any and other important details beforehand. Maintain a couchsurfing calender on the couchsurfing mobile app or website and mark the important dates. Once you get to meet the couchsurfer, show him/her around. Be generous as a host. Tell travelers about the places they should visit in your city. The better you behave, the better reviews you will get. Share your travel experiences, couchsurfing stories and more on the blog introduced by couchsurfing. Write your heart out about your life, travels, favourite hosts, friends, destinations, places to visit and many more. Your personal collection of your journeys, couchsurfing blog will be like your digital diary where you can be as creative as possible. Click on the link to visit couchsurfing blog. India is a hub for travelers. The network of couchsurfing has grown vastly and there are organized regular couchsurfing meetups of travelers that are present in the area at that time. The meetup is can be organized monthly or can be made to discuss couchsurfing events. Participate and find travellers in your city. Join a community filled with adventure and passion. You dream to be a traveler and to find mentors, companions and hosts is here. Search your place and find couch surfers locally. You can contact for safety and support related issues in the couchsurfing help centre. Download the mobile couchsurfing travel app by clicking on the link below. Know more about it on Couchsurfing Wikipedia Article. Become a traveler and save bucks on the run using couchsurfing. Share your experiences with us as well. Give us feedback. 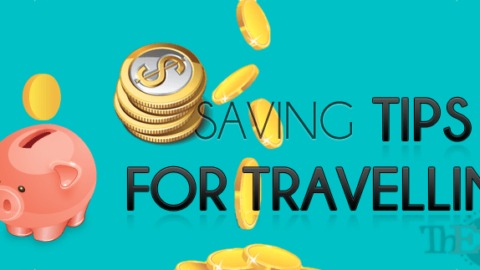 We can make you a better traveler and help you earn rewards and increase your savings. We await for your stories and response. Ask your queries. Read more and stay up to date.